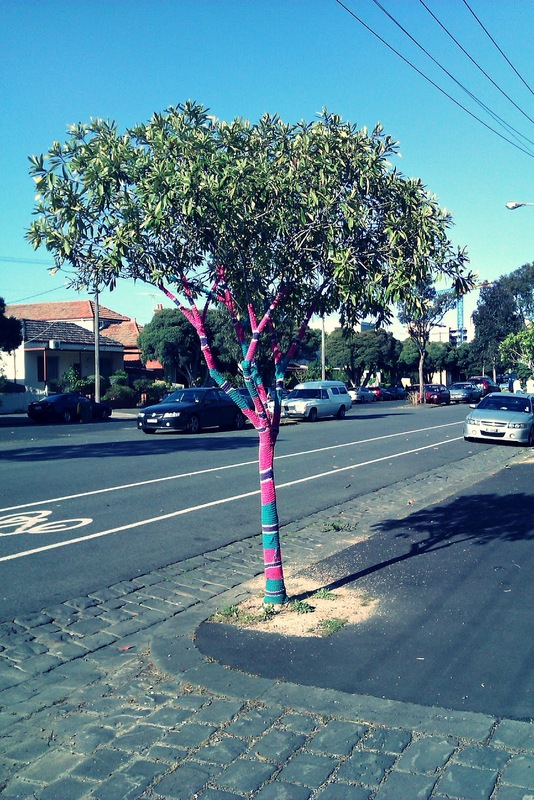 A new style of street art has hit Melbourne streets, art with a decidedly woolly feel to it! 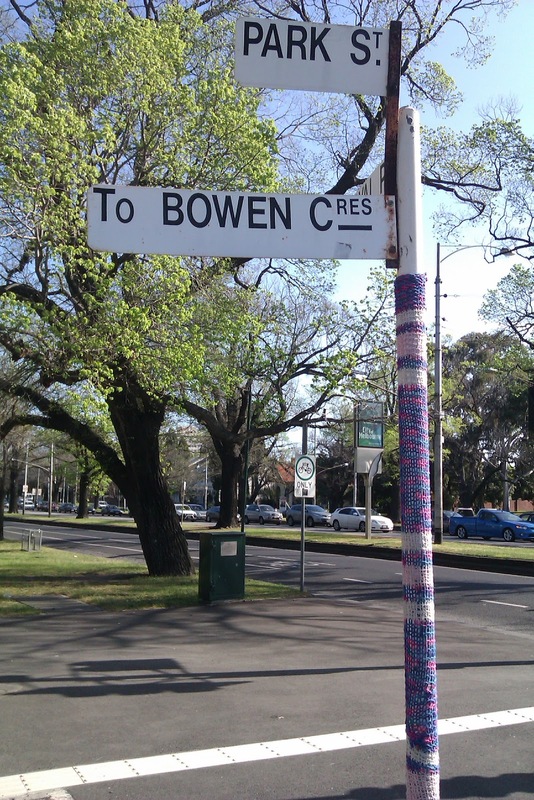 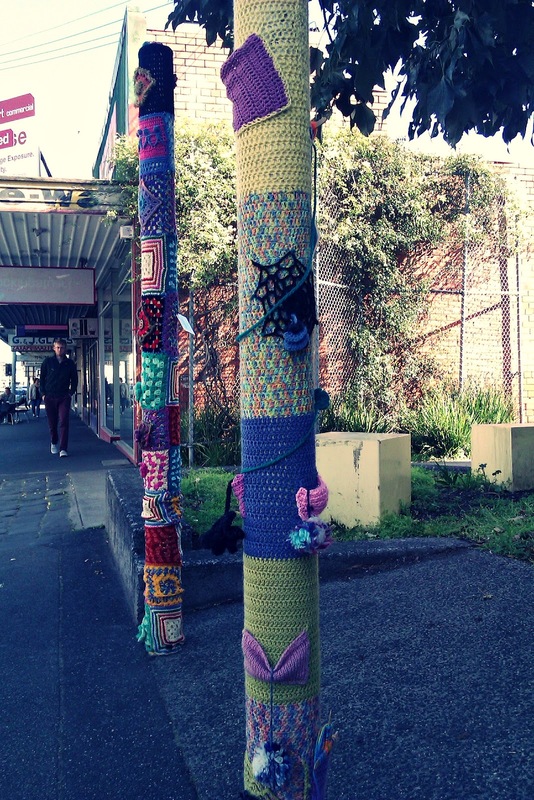 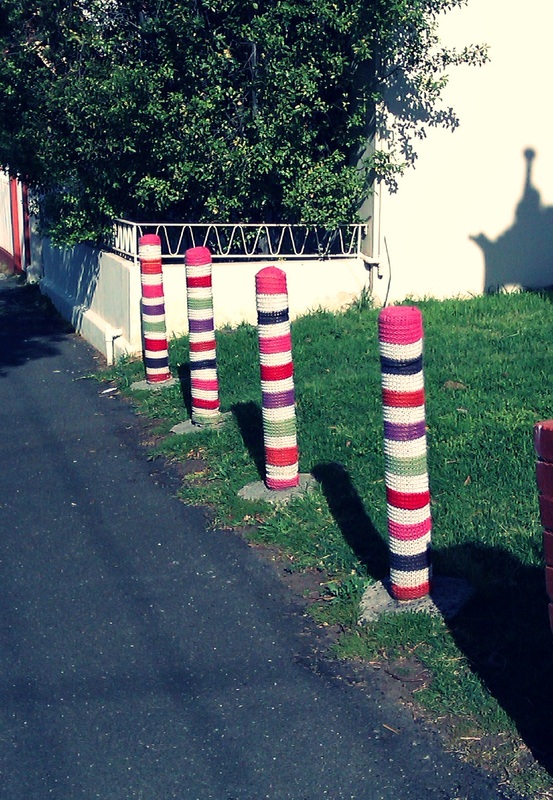 'Yarn Bombing', also known as Graffiti Knitting or Guerrilla Knitting which finds budding knitters covering public infrastructure with woolen sheathes. Sign posts, bike racks, trees you name it these rogue yarn bombers are personalising their neighbours with colour and ..... wool? These are just some examples of the new street art movement around my local suburb of Brunswick in Melbourne, Australia. 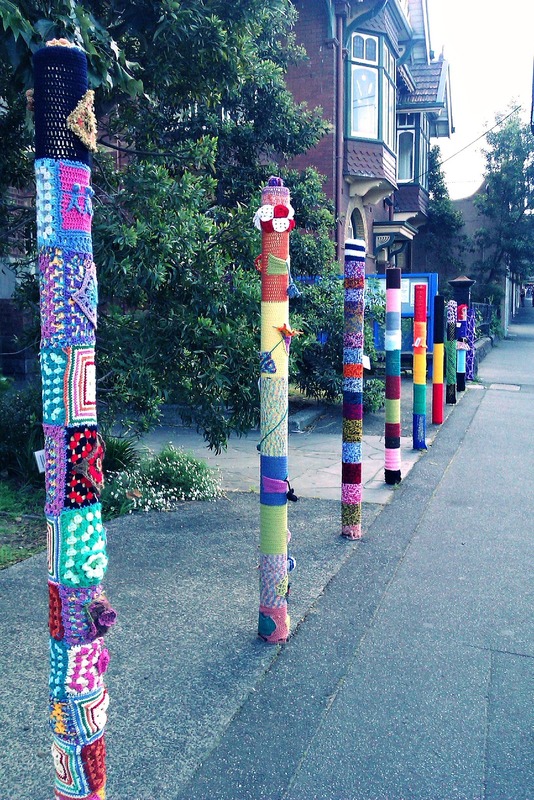 With a growing popularity we are seeing these colourful pieces of street art popping up all over Melbourne. 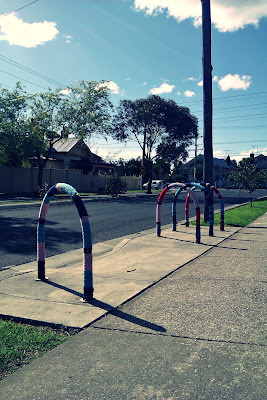 Interestingly local councils are in fact in support of this decidedly geriatric form of art. 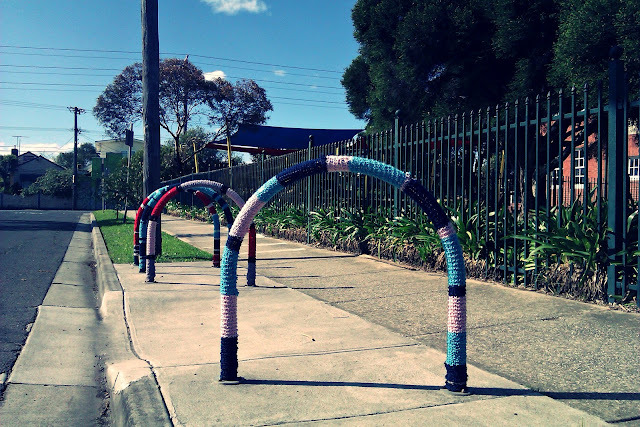 They are hearlding yarn bombing as a 'colourful' and 'vibrant' initiative, being more than happy having guerilla knitters in their local suburbs, provided that none of the existing structures are damaged and that the pieces can be easily removed if necessary. 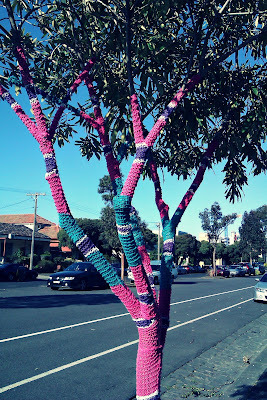 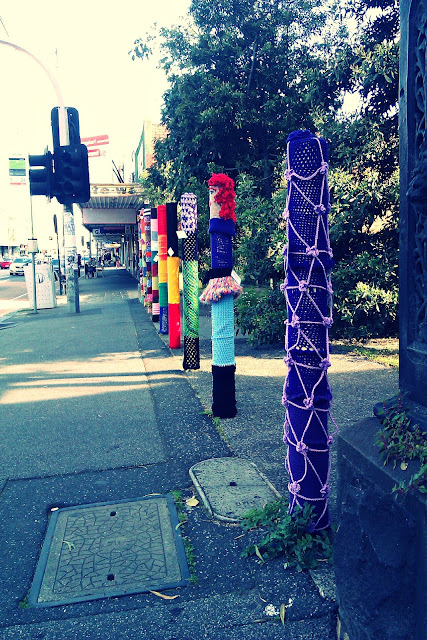 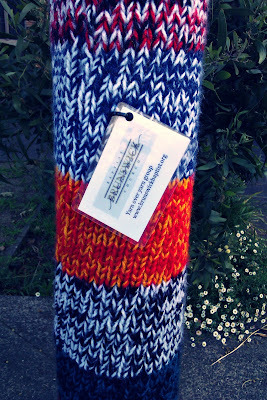 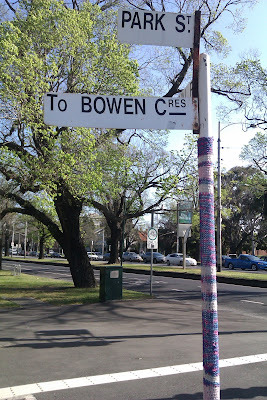 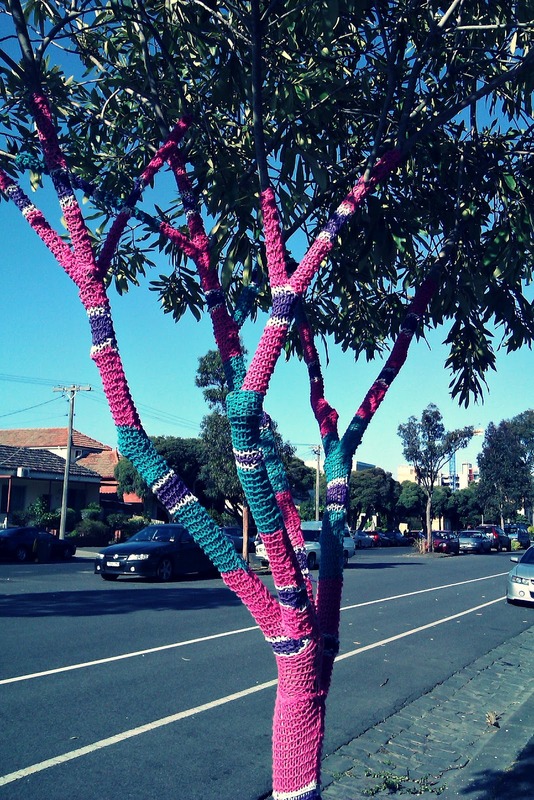 There are blogs and groups meetings to organise further yarn bombing project around the city.